This tutorial shows you how to install Mobdro on Firestick. Mobdro is a great streaming app that gathers video files from various Sources around the web. Fortunately, Mobdro (aka Modbro) works very well on Firestick and Amazon Fire TV box. Mobdro even works great on Android TV Box. So sit tight, follow the steps below to install Mobdro on Firestick, and start streaming great content in no time. Beginners use the Mobdro Firestick install instructions immediately below this paragraph. Experts use the Firestick Mobdro install method at the bottom of this page. The easiest way to install Mobdro on Firestick is to use the CetusPlay app’s “App center” feature to install Mobdro with 1 Click.. This Mobdro install method requires either an Android phone / tablet or an iOS device (iPhone / iPad). The steps immediately below are the beginner’s tutorial on how to install Mobdro on Firestick or Fire TV. Advanced users scroll down. Select CetusPlay from the search results. Then Press Install. After CetusPlay installs, press Open to launch CetusPlay. If CetusPlay asks for any Permissions after launching, press “Allow”. Once the CetusPlay app launches, the “welcome” screen appears. Now that CetusPlay is installed on your Android or iOS device, we must also install CetusPlay on your Firestick. This is easy to do with the CetusPlay Android / iOS app! Note: The “CetusPlay Firestick” app pretty much just runs in the background on your Firestick so that your Android / iOS device can “talk” to your Firestick / Fire TV and install apps on it. With the CetusPlay app open, skip past the “Welcome” tour by swiping the screen a few times. Then press Get Started if it doesn’t automatically take you into “Manage Connections”. Then select your Fire TV from the on-screen WiFi diagram. NOTE: Your Fire TV and your Android phone MUST be on the same exact WiFi network for CetusPlay to see your Fire TV. After you select your Fire TV, the screen will say “Installing CetusPlay on Fire TV”. Wait for this to complete. When CetusPlay is done installing on the Fire TV, your Android smartphone will display “Enter the code on TV screen”. At this point, look at the TV your Firestick is attached to – you’ll see a 4 digit pin code. Enter the 4 digit pin code into your Android smarpthone and press “OK” to Pair your Fire TV with the CetusPlay app on your Android smartphone. Test the CetusPlay app’s “virtual mouse” feature to verify that Cetus Play is connected to Fire TV. Just press a button on the CetusPlay app’s “virtual remote” screen. For example, pressing the “back” button in the CetusPlay app’s virtual remote screen should take your Fire TV back a level. After you verified that the CetusPlay app is now talking to your Firestick or Fire TV, proceed to the next section to install Mobdro on Firestick. From the CetusPlay app on your Android phone, press the main menu button in the top left corner. Press the “Featured” tab at the top of the CetusPlay app screen (which should already be selected by default). Then press “INSTALL” next to “Mobdro” to install Mobdro on your Firestick. After Mobdro is installed, the your Firestick says “Do you want to install this application?”. Select “Next” / “Install”. Once Mobdro is done installing, select “Open” to launch Mobdro. When Mobdro launches for the first time, select “OK” to accept the Disclaimer (if it displays one). Then select a menu item from the Mobdro home screen, such as “UK and USA”. Now select a media playlist (aka “TV Channel”, which is really a playlist of media files) and start streaming! Important: We do not condone or support streaming TV channels that you don’t actually pay for already with a Cable TV subscription. Mobdro is a Kodi alternative that streams movies and TV shows to Firestick or any Android device. Mobdro pulls (or “scrapes”) sources from various places around the Internet. Then it puts the media files into different “playlists”, such as “Christmas Movies” or “Mystery Movies”. You then select a playlist and start watching whatever movie is currently playing on a Mobdro playlist. The Mobdro app for Firestick is more similar to standard TV channels, since there’s always something playing and you just “turn it on wherever it’s at in the movie”. Mobdro is pretty cool though, because it also has some benefits we’re accustomed to with normal TV channels such as..
Fast loading – Select a playlist in Mobdro and it plays within 3 seconds or less. No choosing Sources or messing with “Pairing” buttons like in Kodi. 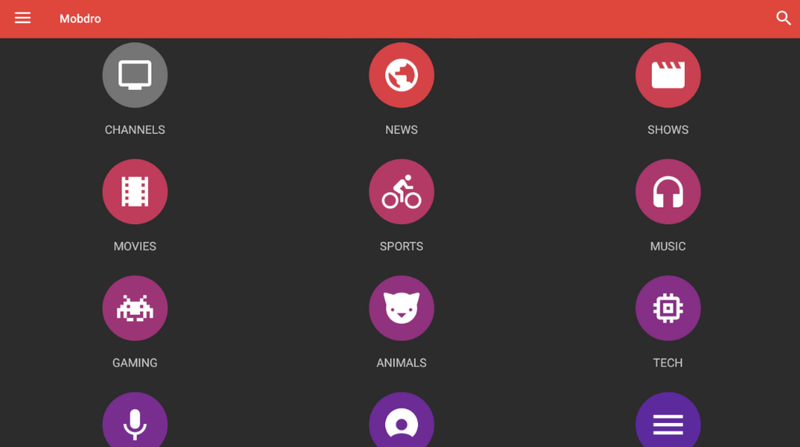 Variety of Playlists – Mobdro playlisits are more like TV Channels than playlists. 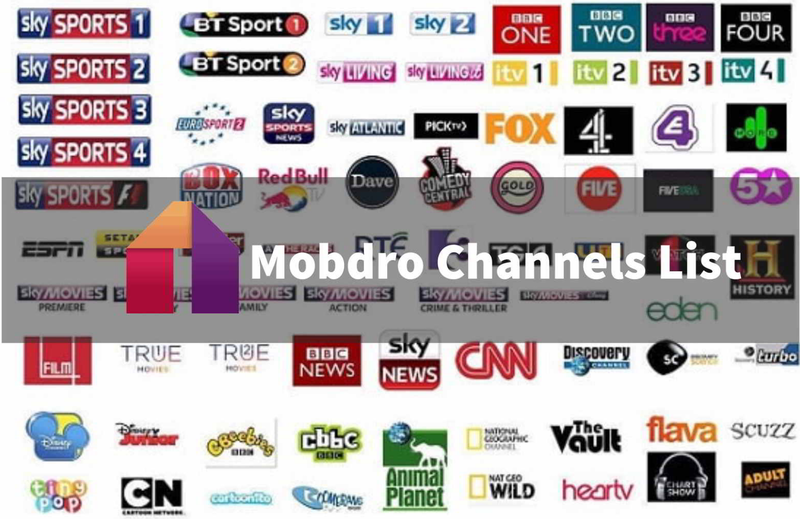 So if you look at it like that, Mobdro gives you an awesome variety of TV Channels from which you choose. Constant playback – When a movie or TV show is done playing, the next media item automatically plays. No more searching for the remote when you’re half asleep and just want some “background TV”! Some playlists contain bogus media (but not many). For example, I tried one movie playlist and it asked my Firestick to launch some external app. Now, the “external app” it wanted to launch was most likely YouTube. But I didn’t care to find out, so I just pressed Cancel and moved on to the next Mobdro movie playlist. The next playlist did not do the same external app launch attempt, so I was able to just keep flipping through Mobdro “channels”. The Mobdro app has been “cloned” by many app developers and renamed. One example is “Modbro“, which was simply a Mobdro clone. This is the Expert version of the Mobdro Firestick install guide. The Expert version leaves out “little details” that newbies need. After Mobdro updates, re-launch it if it doesn’t re-launch automatically. When Mobdro has re-launched, select a playlist. Mobdro will start streaming media from the playlist you selected! Make sure you use a VPN while streaming to protect your incoming and outgoing data.